Many of us try saving money on prescriptions by splitting pills in half and this has been at the heart of the prescription drug debate. It is definitely a cost saving solution which is so effective and simple that health care systems have embraced it. Pill-splitting may not be a good choice even if it means saving money. - Forgetting to split a tablet or being confused by the correct dose which can lead to accidently taking too much of that medicine. 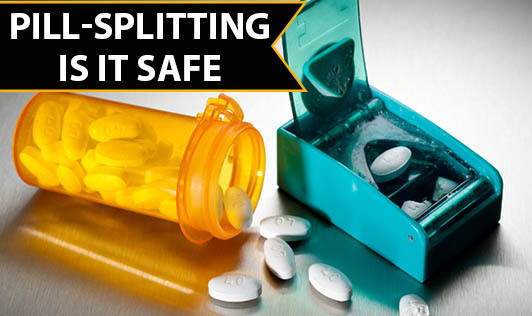 Pill-splitting will cut your costs, but splitting some medications may end up causing more harm than good. If you want to split your tablet before use, it is important that you consult with your doctor and find out whether the medicines you use can be safely split. Also, it is always safe to use a tablet splitting device to ensure accurate splitting!